Seattle’s How to Cook a Wolf restaurant has been on my radar for several years and finally on a recent visit we made the trip to Queen Anne to give it a try. 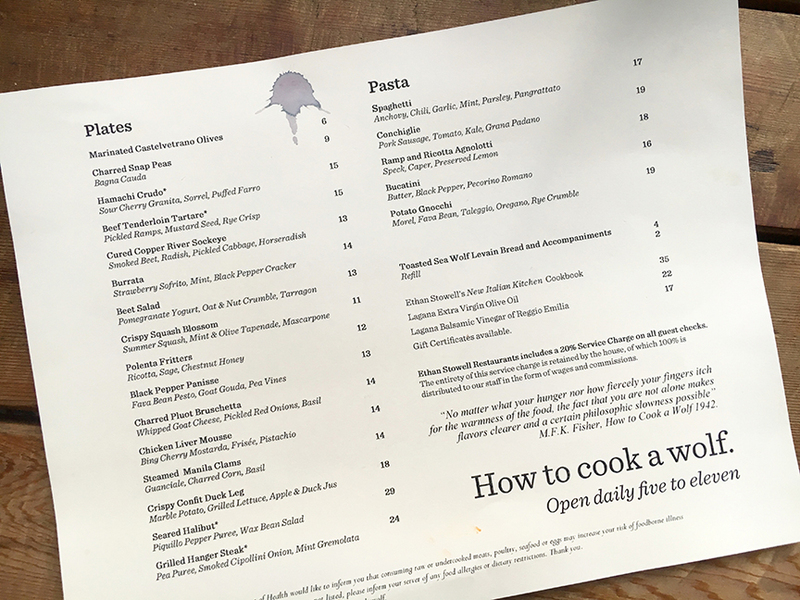 Not only is this our first visit to How to Cook a Wolf, it’s also our first venture into the Ethan Stowell empire. The restaurant is small – I’m guessing there can’t be more than 35 seats at most – and although the outside tables are small, our party of four snuggled in as it was the kind of day in Seattle that demands to be embraced – sunny and warm and perfect. 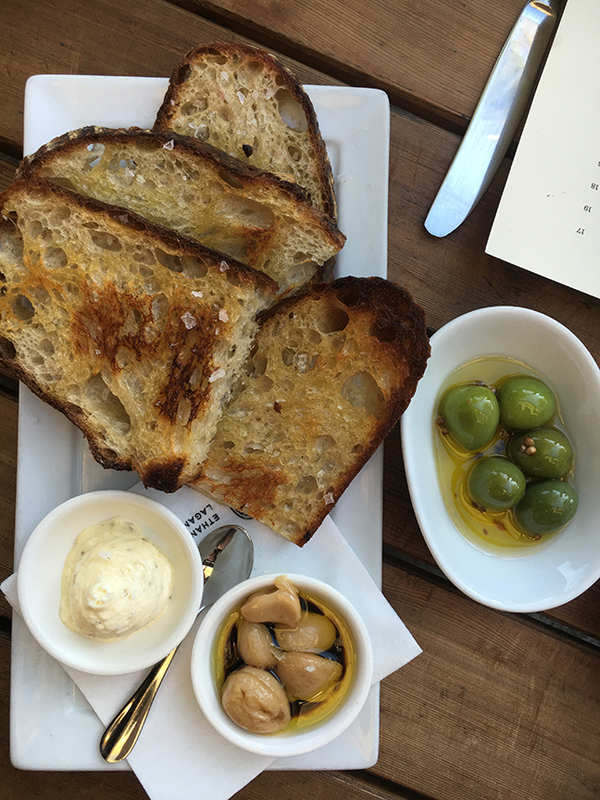 As I was about to burst into a full on case of the hangries, we quickly got the marinated olives and bread with butter and roasted garlic ordered to go along with our bottle of rosé. 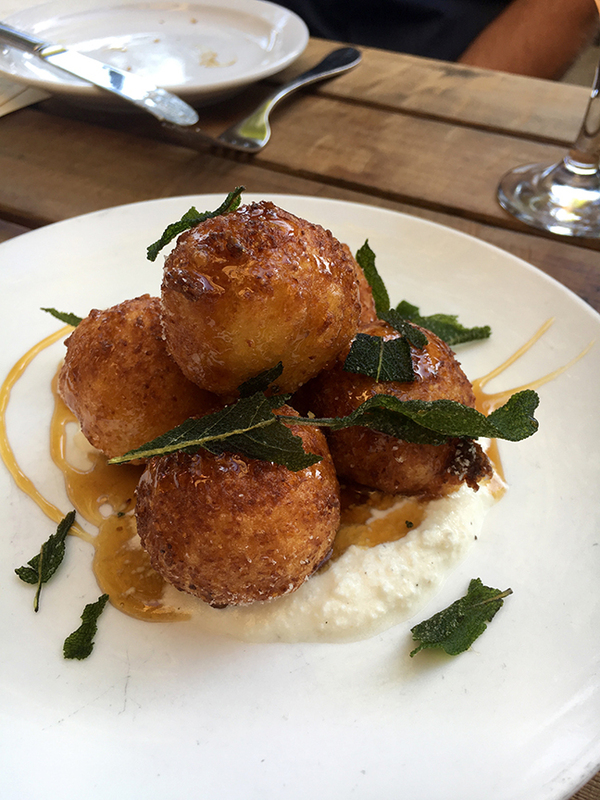 With the edge taken off my hangries, we took turns picking small plates to share, like the polenta fritters encapsulated within a golden, crispy crust with ricotta, a drizzle of honey and fried sage leaves. 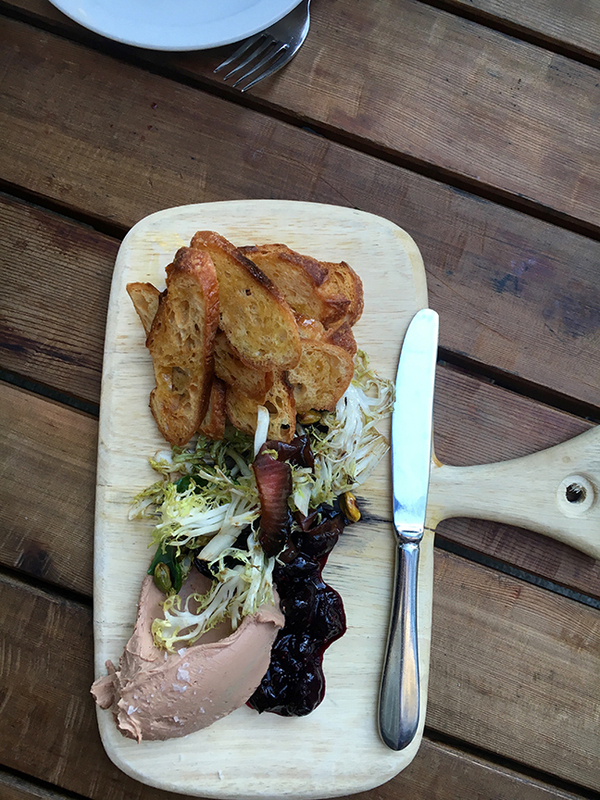 I’m always a sucker for paté and their chicken liver mousse came with frisée, crispy bread, pistachios and a lovely cherry sauce. 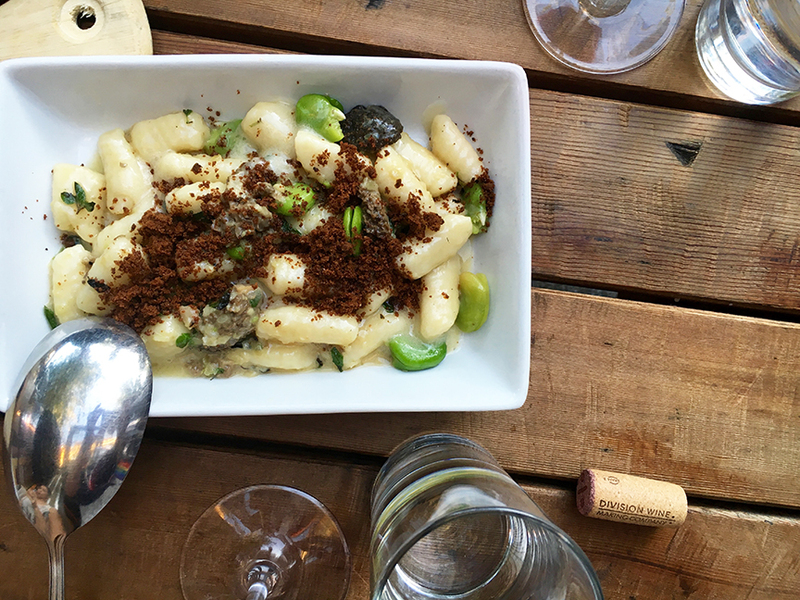 From the pasta side of the menu, we ordered the potato gnocchi with morels, fava beans and crunchy rye crumbles. 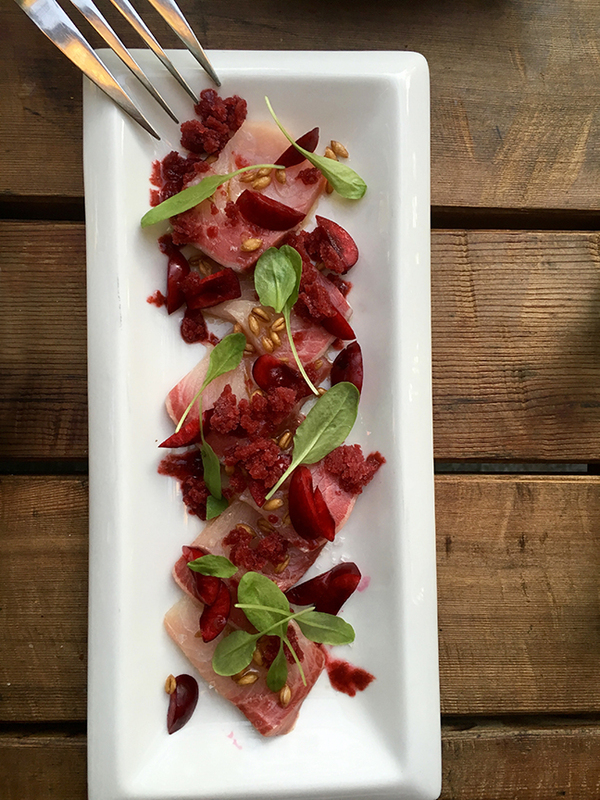 I could have easily called it a wrap but my dining companions thought the hamachi crudo with cherries and puffed faro would be a light and refreshing way to end the evening. Admittedly they were right. We had very attentive service and while I thought some of the dishes were under seasoned, the food was all really solid. It was a great way to spend an evening with friends in Seattle.